Show potential clients that you take your job seriously. With Red Cross babysitting classes in Ann Arbor, you can get the training you need to care for the kids in your neighborhood when their parents can't be with them. Designed for those ages 11 and older, our babysitter training courses can help you build a rapport with the children you care for, and meet each family's unique needs. In-person babysitting training in Ann Arbor is available throughout the year. Delivered by best-in-class instructors, our in-person courses can help you become a reliable, confident, and compassionate babysitter. Classes include the latest information on child care, techniques for managing behavior, tips for choosing activities, and more. In addition, instructors offer plenty of time for questions, so you can get the most out of your time in class. We also offer online-only babysitter training that can help you gain the skills you need to take care of the kids in your neighborhood. Our online courses allow you to learn at your own pace, and cover topics like activity planning, basic first aid, child behavior, emergency procedures, starting a babysitting business, and more. All tests and activities are performed online. Successful completion of each of our babysitting classes results in a 2-year certification. The Red Cross Babysitting Basics class can prepare you for your first babysitting job, or help you develop the skills needed to improve the good work that you already do. With a focus on caring for infants and children, choosing age-appropriate activities, child behavior and more, this Ann Arbor babysitter certification class is an excellent way to start, or build, your babysitting business. Building on what you learned in our Babysitter's Basics class, our Babysitter's Training course can help you provide confident, capable care to infants and kids ages 10 and younger. Throughout the course you'll learn leadership skills, how to develop a babysitting business, get expert advice on keeping yourself and others safe, get tips on how to help children behave, and learn about basic child care and basic first aid. After successfully completing Babysitter Training in Ann Arbor you'll receive a printable certificate that you can share with potential employers. Designed for sitters, au pairs, nannies and care givers ages 16 and older, our Advanced Child Care Training course can help you provide exceptional care to infants and children ages 10 and younger. Available in an online format, or via a blended (online and in-person) course, our Ann Arbor babysitter training gives you a range of options to suit your schedule, and your learning style. In addition to our Ann Arbor babysitting training classes, we also offer a wide range of courses that can help you provide care to kids and adults when they need it most. 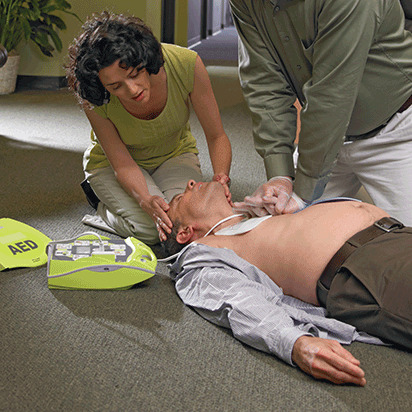 With training in First Aid, CPRand AEDusage, you can learn skills that will allow you to help in an emergency. The Red Cross delivers babysitting classes in Ann Arbor and across the country that are developed under the guidance of, and reviewed by, the Red Cross Scientific Advisory Council. This 50+ member panel is dedicated to ensuring that our babysitting courses, and all of our classes, are built around the best science, and best practices available.